Games on Demand is a volunteer effort and transparency is one of our values! The organizing committee for Origins is still working through our internal conversation before opening up a formal feedback survey, but for now, here’s the numbers. We seated 463 players in 103 games with a staff of 36 GMs (including non-game-facilitating Hosts). Last year we seated 457 players in 101 games with a staff of 44 GMs. Please share this post and link with anyone you think would like to join us! OMG ORIGINS IS IN ONE WEEK. 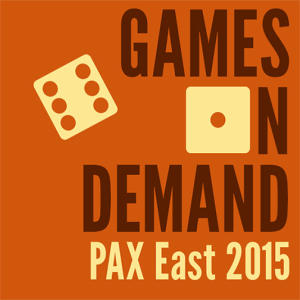 I’LL BE RUNNING GAMES AT GAMES ON DEMAND IN ONE WEEK. Check out the indie games explosion page for the mostly exhaustive list of games we’re offering this year!